Melbourne Recital Centre is delighted to announce the recipient of the Merlyn Myer Music Commission 2019: Yorta Yorta woman, soprano, composer and educator Deborah Cheetham AO. The Merlyn Myer Music Commission was initiated to celebrate the work of Australian female composers in collaboration with Melbourne Recital Centre. Deborah’s new work, the product of the commission, will receive its world premiere on 27 May 2019 when it is performed by award-winning contemporary music group Syzygy Ensemble. 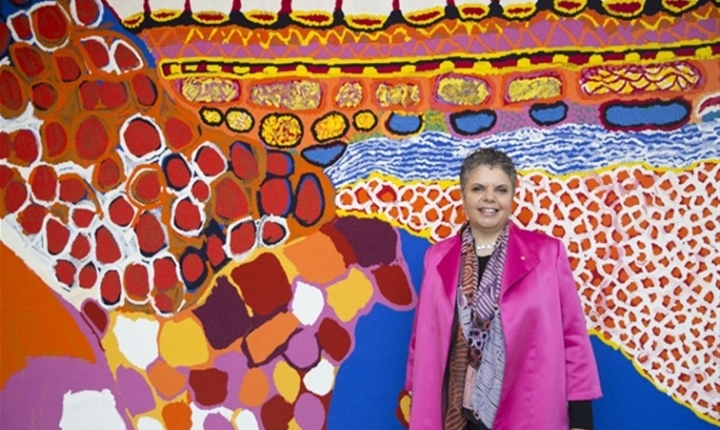 Deborah Cheetham, Yorta Yorta woman, soprano, composer and educator has been a leader and pioneer in the Australian arts landscape for more than 25 years. In the 2014 Queen’s Birthday Honours List, Deborah was appointed as an Officer of the Order of Australia (AO), for ‘distinguished service to the performing arts as an opera singer, composer and artistic director, to the development of Indigenous artists, and to innovation in performance’. In 2009, Deborah established Short Black Opera as a national not-for-profit opera company devoted to the development of Indigenous singers. The following year she produced the premiere of her first opera, Pecan Summer. This landmark work was Australia’s first Indigenous opera and has been a vehicle for the development of a new generation of Indigenous opera singers. Pecan Summer has now been performed in Mooroopna, Melbourne, Perth and Adelaide, and in 2016 became the first Indigenous opera to be presented at the Sydney Opera House. In March 2015 she was inducted onto the Honour Roll of Women in Victoria and in April 2018 received an Honorary Doctorate from the University of South Australia for her pioneering work and achievements in the music. In 2019 Melbourne Recital Centre celebrates its 10th Anniversary that includes the commissioning of 10 new works supported by a generous group of donors. The Merlyn Myer Music Commission 2019 is funded by the Aranday Foundation and the Yulgilbar Foundation.